Grey’s Teas is a British, privately held company that is engaged in the production of different kinds of tea. The company has its headquarters in Warwick, England. Grey’s Teas was founded by Richard Grey. Before putting up his own business, Grey first worked for Lyons Tetley & Whittard. His interest in the development of new products, his Masters degree in the subject of product design and his extensive travels in different parts of the world all contributed to his eventual launching of his own tea business in 2000. Grey’s Teas aims to provide its consumers with the greatest teas from all over the world. The company specializes in teas that have been grown from personal tea gardens, or areas where there is an abundance of growing tea leaves. Most of the company’s teas are sourced via the Ethical Tea Partnership that was created in 1997. This partnership was created in order to give a fair approach in the matter of employment in all tea gardens. Currently, this partnership covers 65% of tea exports in the world. From the year that the company started and until now, Grey’s Teas has been able to build a loyal customer base because of the quality of its teas. 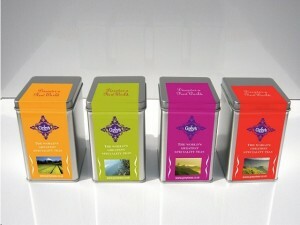 Customers are assured that the teas that they have ordered are fresh and are of excellent quality. Grey’s Teas have been imported through established tea shippers that are able to airfreight the teas. As a means for customers to order tea from the company, Grey’s Teas has its own website. Aside from getting online orders, the website also supplies important information about different kinds of tea for those who wish to learn more. Online orders for tea are normally dispatched within 5 working days. Delivery within the United Kingdom is free for orders over £25. For overseas destinations, deliveries for orders are charged at reduced rates. Grey’s Teas do not sell teabags for the reason that it does not produce the best flavor. Among the varieties that Grey’s Teas sells are organic tea, black tea, oolong tea, flavored tea, blended tea and green tea.